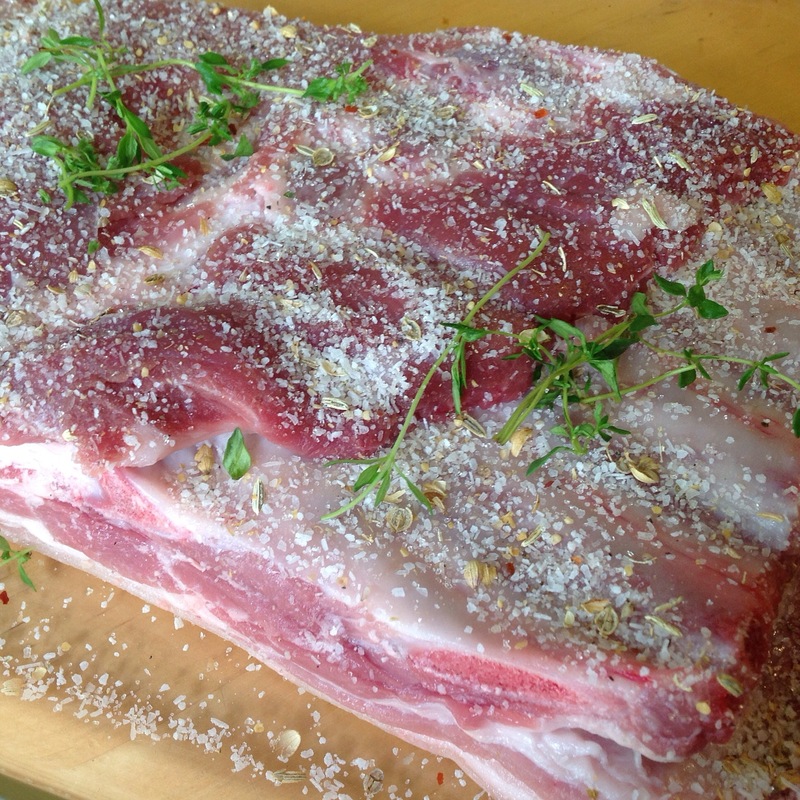 A short basic cure (3 days, I think) with kosher salt, pink salt, sugar, fennel seed, crushed coriander, pepper flakes, ground black pepper, and fresh thyme; then perhaps a run through the cold smoke followed by a slow cook, cool, and a finish on the grill for a cookout on Saturday. 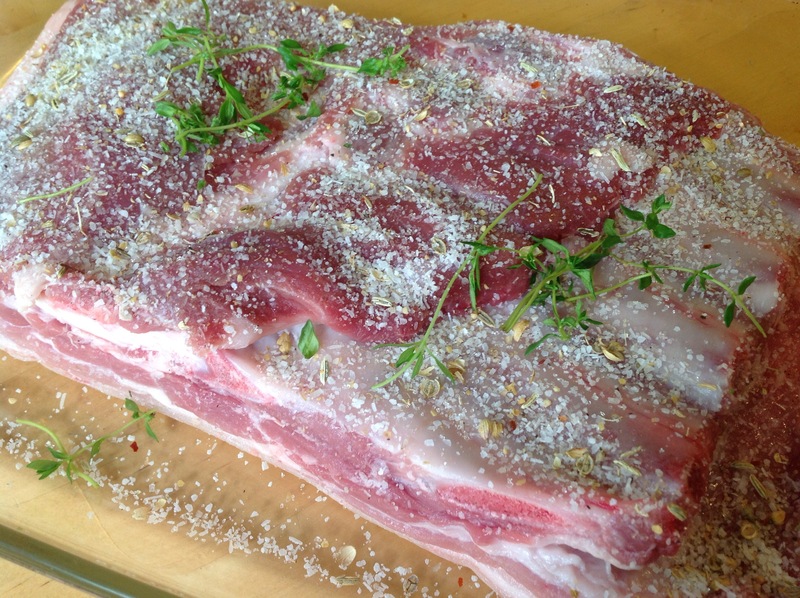 This entry was posted in grill, pork, roast, smoke and tagged 4th of July, belly, pork, recipe, ribs, roast, smoke. Bookmark the permalink.